They say the Irish have all the luck, but there's only one way to find out! 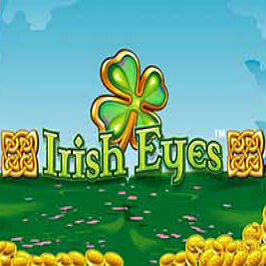 Take a spin on the Irish Eyes slot game, a classically styled video slot developed by software provider NetEnt. It's brimming with ways to win. Once you've read our Irish Eyes slot review, you'll see exactly why this game is popular with online gamers. 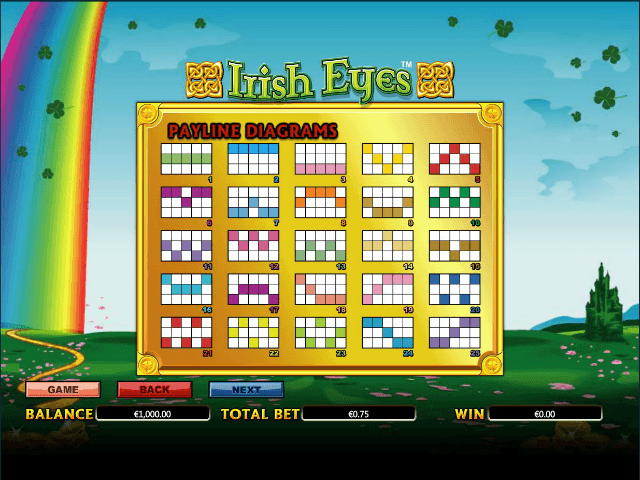 If you're ready to find out what all the fuss is about and turn virtual pots of gold into real cash, join us as we guide you through all you need to know about the Irish Eyes online slot game. 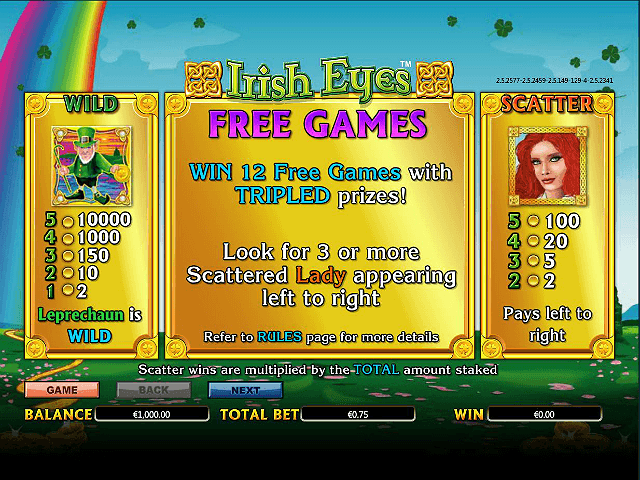 Play Irish Eyes Slot Demo for Free! Play Irish Eyes for Real Money! Pots of gold, leprechauns and the 'luck of the Irish' are all common themes in online slots. NetEnt has taken things one step further and combined these all into a single slot. 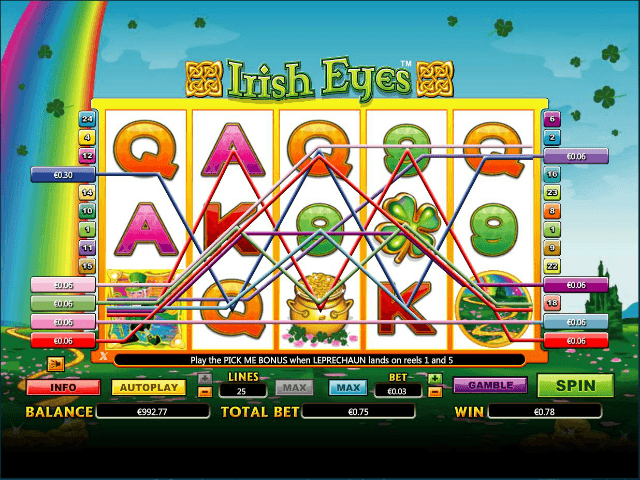 Sure, when it comes to comparing the Irish Eyes online slot to some of the more modern video slots out there, the graphics look a little lacklustre. Fortunately, this spinner is filled with a host of in-game features that give you multiple ways to win – a payoff we'd take any day! Naturally, before you can set the five reels and 25 paylines in motion, you'll need to set your bets. After picking the number of win lines you want to activate, you can turn up the coin stake from 0.01 to 2. This means the minimum betting limits start at 0.01 and the max bet is 50 credits per spin. Once the reels are in motion, you'll get access to a payout table where standard wins top 1,250X your line bet and five wilds (the leprechaun) is worth 10,000X your line bet. For those that don't want to do the maths, this means the Irish Eyes jackpot stands at a meaty 20,000 credits. Is that the largest slots jackpot you're ever going to see? Probably not, but when you consider this isn't a progressive jackpot game, it's fair to say Irish Eyes is an online slot that's more than generous. Beyond fixed prizes, you can pick up a bonus or two when you roll in scatters and wilds. For starters, when you roll in two or more scatters, you'll win a prize worth anything from 2X to 100X your total bet. On top of this, you'll also receive 12 free games where anything you win is multiplied by three. When you're done with the Irish Eyes scatter spins, you'll have the chance to pick up a bonus win worth 100X your bet during the pick'em round. After rolling in the leprechaun wild on reels 1 and 5, you'll get to uncover mystery symbols that have the power to turn into instant wins worth as much as 5,000 credits. They say that Irish Eyes are always smiling and there's no doubt this NetEnt video slot will have the same effect on you. Thanks to its well-stocked payout table and a ton of in-game bonuses, you can win pots of gold worth as much as 20,000 credits! Share this Irish Eyes Review today! 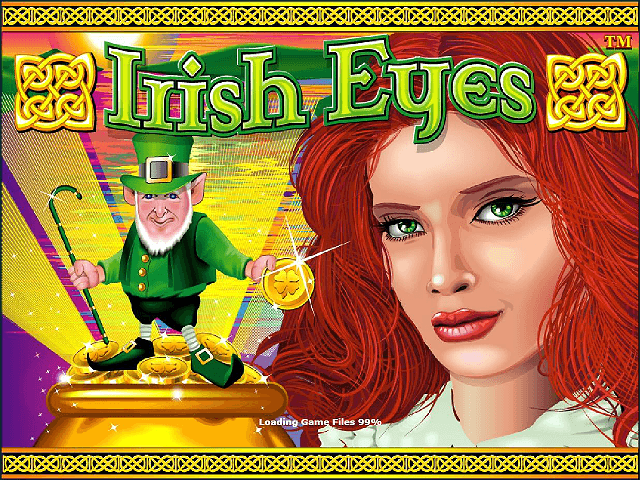 If you like Irish Eyes, you'll love these slot titles too!